Helios by Pacifica Housing 2006 Sooke Road - 82 affordable rental units for low to moderate-income families. 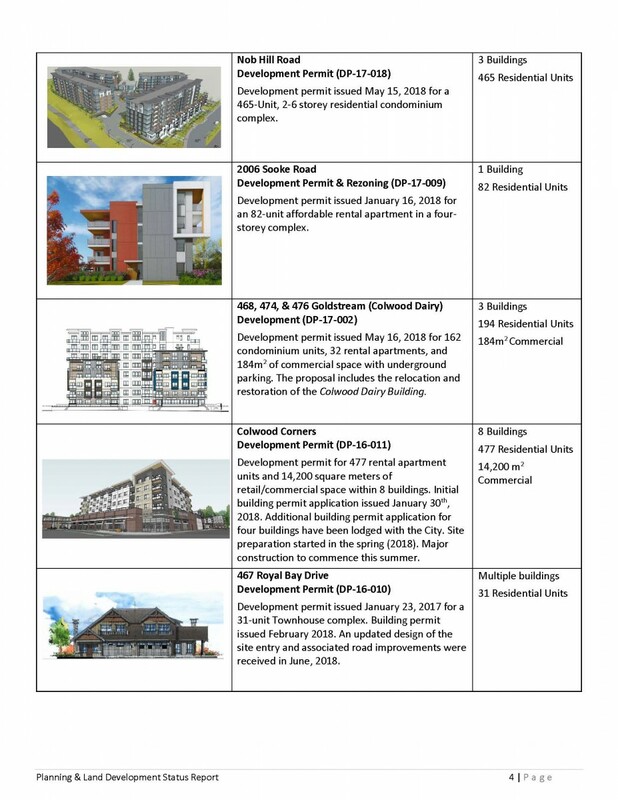 Completion projected for fall 2018. Curious about subdivision opportunities or subdivisions that are planned in your area? Contact the Development and Subdivision team at 250-294-2144. 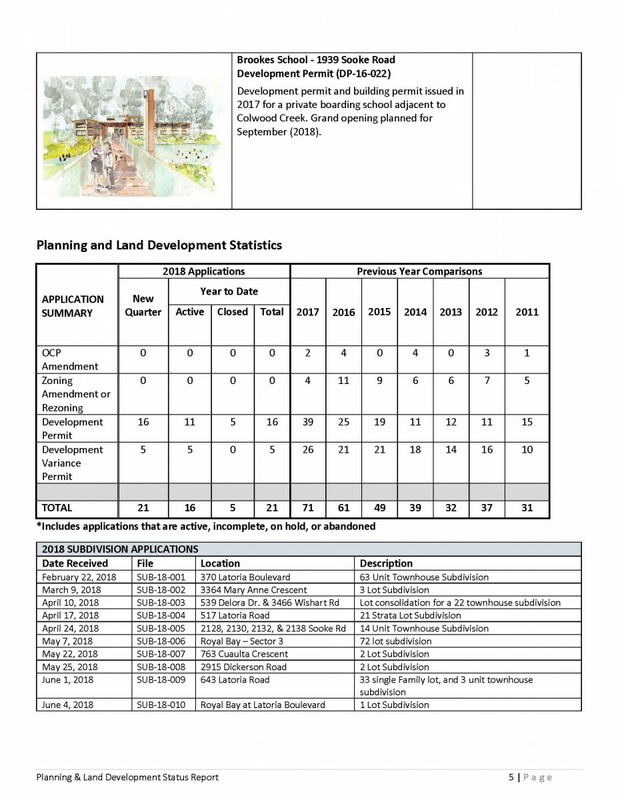 The Quarterly Planning and Development Status Report below gives an overview of all Applications, In-Stream and Approved Developments. 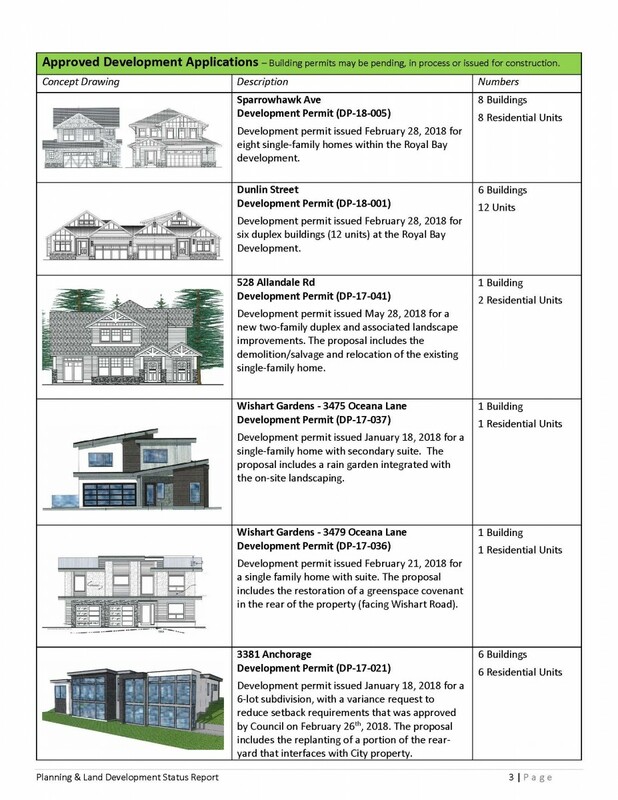 View a list of all Current Development Permits, Development Variance Permits and Rezoning Applications in the City of Colwood. 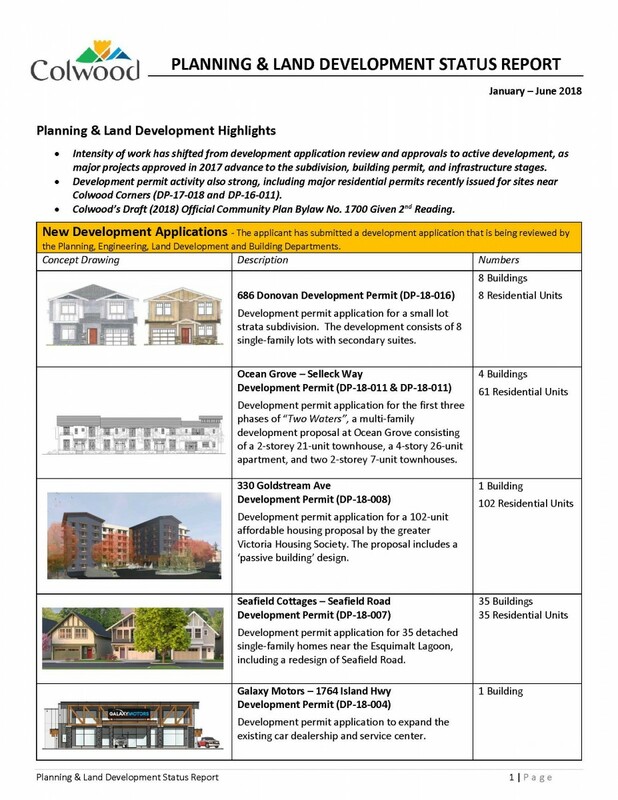 For more information about development in Colwood, read a bit about How Municipal Government Works and visit the Planning and Development web page. 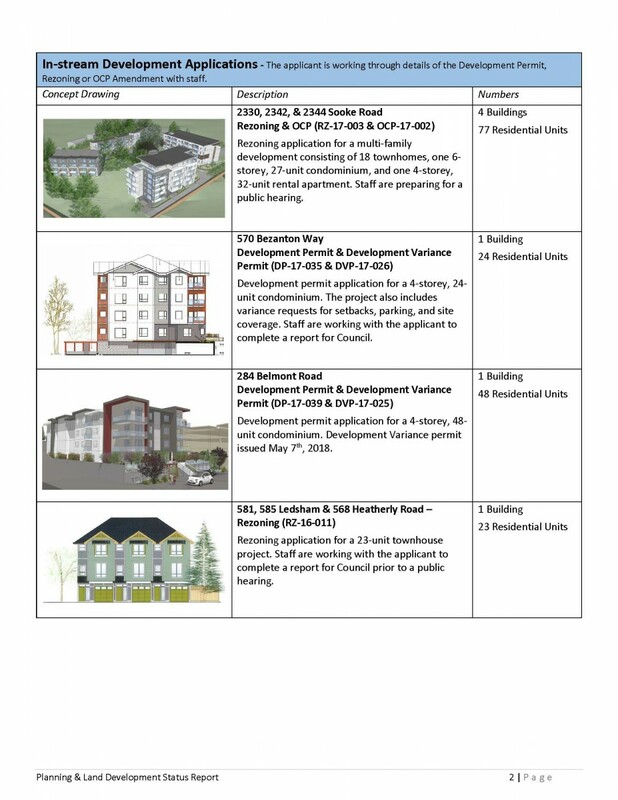 Contact the City of Colwood Planning department at 250-478-5999 or email planning@colwood.ca.